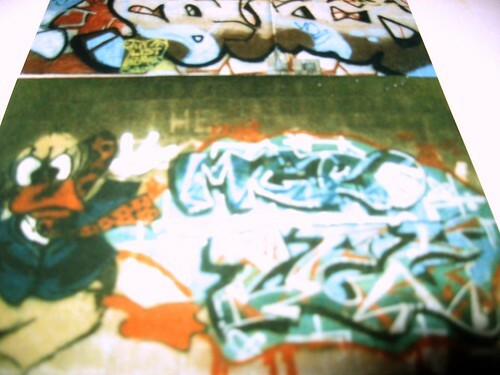 found 2 flicks for "mero"
Writer: Owned by Micro & Mero Collar by Icey & Scam Characters by Rener & Spear Crew: ATKM Location: Jean Jacket Date: 1986 Submitter: Hec One Love Story: This jacket actually was passed around to SEVERAL writers/crews back in the day. Original owners were Micro & Mero. The collar was done by Icey & Scam. Characters by Rener & Spear. 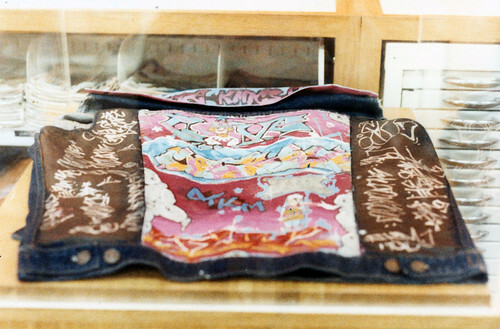 Glove was ATBO & not a part of this jacket(was at war w/ATKM at this period in time). The jacket itself disappeared/stolen... To this day we have always wondered where it went.